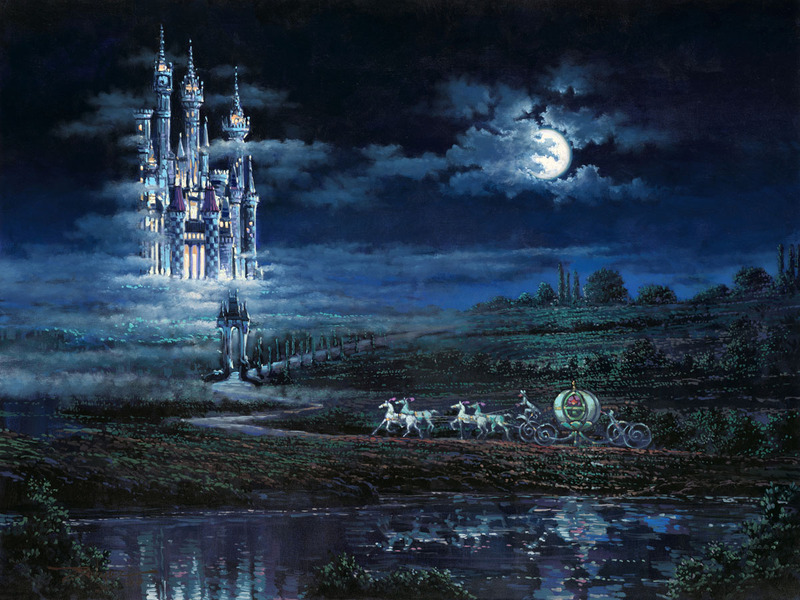 This Moonlit Castle from Cinderella Embellished Giclee on Canvas by Rodel Gonzalez is a wonderful image of the classic castle and carriage we know from the film! 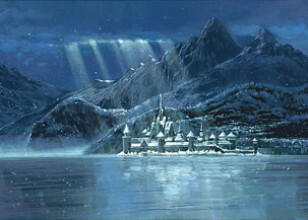 In 2002, Rodel began in earnest his dreams of pursuing a fine art career. With inspiration and influence from his brother, Rudolf Gonzalez, and support from his cousin Roy Gonzalez Tabora, he has a newfound energy and dedication for his artwork. 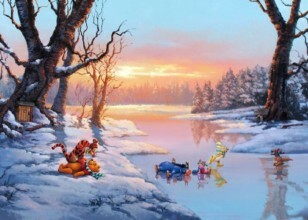 When asked about his latest official Disney art, Rodel has said, "Having the opportunity to create Disney paintings is such a treat because Disney was definitely part of my childhood. I remember watching my first Disney films "Bambi" and "Snow White" and ever since I've been mesmerized by the succeeding Disney movies I've seen. I believe a painting is a mirror of the painter's understanding of an insight he has. 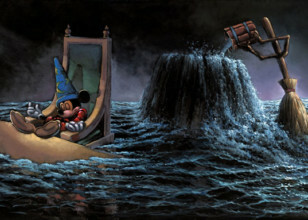 The Disney paintings each involved such a strong concept that every brushstroke was a joyful anticipation of the finished product. The energy was very strong therefore my intentions were sure and refined. I would say that there was a lot of grace present on every painting.